On Christmas Eve, we used to hang up our stockings and have sweet dreams of Santa Claus climbing the chimney and leaving Christmas gifts under the tree. I really enjoyed was reading out Santa's long letter that always concluded with the words, ''Be obedient to your mom, she loves you a lot, so follow her instructions.'' To my little, unsuspecting mind, this was proof that Santa Claus knew how badly behaved I was to my mother most of the time. Our home in Blantyre used to smell like Christmas - full of cookies, the scent of plum cakes that were homemade and gifted to my parents from Christan family friends and bottles of wine, sherry and so on, again gifted to my non-drinking parents. Unlike today, friends back then didn't judge each other on the basis of whether they drive luxury cars, have corporate jobs, eat beef, drink liquor and so on. My parents were lucky. Their friends were truly friends and extraordinary people, who didn't judge them for the simple life they led or the simple choices they made. An added bonus: There was no social media. In the early 90s, when we returned to Kerala, the joyous energy of Christmas in Kochi just blew me away though these were simpler than in Blantyre. From the smallest homes to the biggest mansions, the signs of Christmas played hide-and-seek around us. The sounds of music, the bright stars that sparkle in front of every home, the firecrackers, the Santa Claus or ''Papani'' coming home with a band of dancing and singing children, who were asking every home to contribute some money, and so on. My father's patients, irrespective of religion, brought plum cakes and homemade wines to our homes. 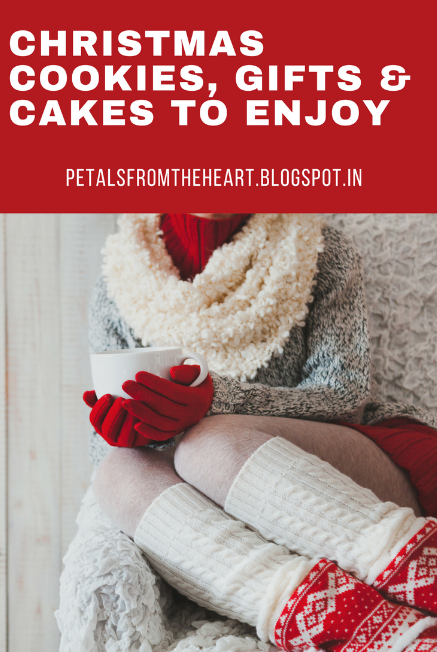 For us, Christmas marked the joy of sharing without any shadows of caste, community or religion lingering. The early accounts of Christmas celebrations among Malayalis in Kerala reveal that unlike today's materialistic display, it was a far simpler than it is today. Think about how we celebrate Christmas today. We probably decorate Christmas trees in our homes, display bright stars and serve the best cookies and plum cakes to guests, maybe with a bottle of expensive wine. But way back in the early 60s and 70s, when I talked to my Christian friends, they speak of an era that thrived on the Christian values of simplicity and devotion. You can buy fancy Christmas mangers and stars online today with just a click or visit the neighborhood stores to get more options. In the early 60s and 70s, Malayalis preferred to trust their own creative instincts and make their own mangers and bright colored stars. Every home had family members pitching in and working hard to collect the materials and build the manger. Even paraffin lamps and candles were used creatively to light up their homes in a simple way. These Christmas preparations also meant ''bonding'' time for parents and children as they used to build the manger and make the stars together. Before TV serials and social media took charge of the Malayali's daily routine, we were a community that loved theater and plays for almost every occasion. From the start of the Christmas season up to New Year, the best theater performances hosted by the finest theater groups used to keep people mesmerised. The good thing about watching plays is also that it is a democratic form of entertainment - people from all walks of life watch it together and best of all, you can enjoy decent conversations too. Besides theaters and plays, every Malayali used to look forward the devotional tapes that released in December, with popular singers like Dr.K.J.Yeshudas singing songs in praise of Jesus Christ. In Kochi, the singer Marcus used to release special music tapes that were a big hit with the Christian community during this special time of the year. 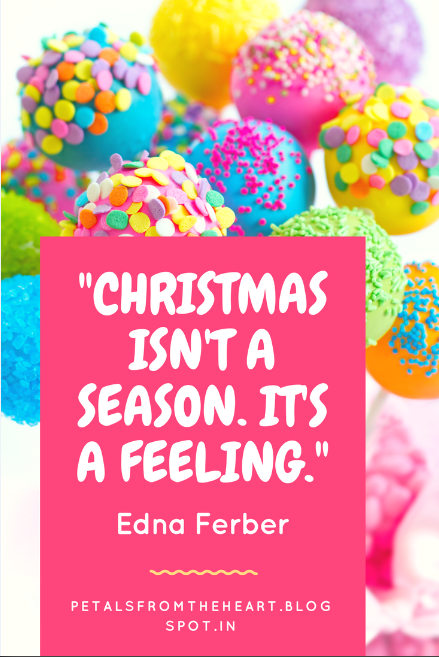 To me, Christmas is a more of feeling within the heart. Intellectuals and writers on my timeline still debate about the birth of Jesus Christ, his marital status and relationship with Mary Magdalene. To me, Jesus Christ is a gentle reminder that love is the greatest gift that we hold within us, as did His life of sacrifice. Jesus, hailed as King of Kings and Son of God, was born in a humble manger, wore no diamonds, gold or platinum but only a crown of thorns. What a beautiful lesson Jesus has blessed humanity with. He taught love and forgiveness. And I am yet to learn what it takes to practice these teachings. For all of you who believe in goodness and love, I wish you a very Happy Christmas. Let the stars shine within and around us. Let love always prevail.